Over the past year, according to Nielsen, 113,481 consumers in Cumberland and Robeson Counties in North Carolina purchased furniture and mattresses. 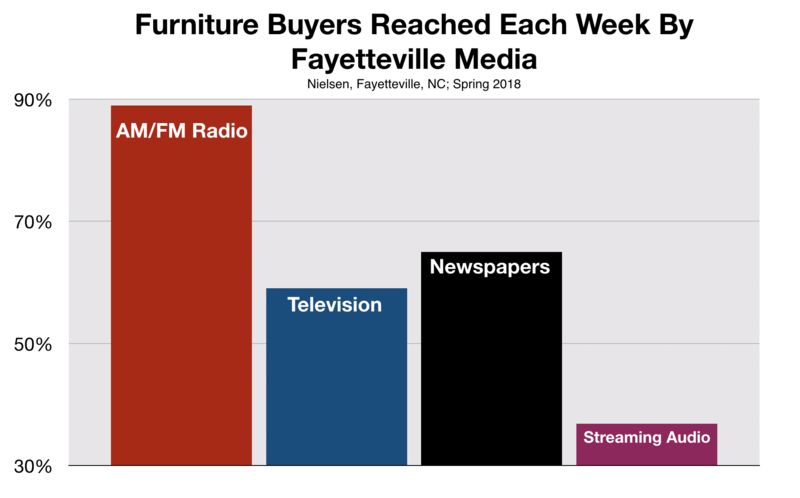 Nearly 90% of these buyers tune-in to a Fayetteville radio station every week. This is substantially more furniture buyers than watch area TV stations or picked up a newspaper. 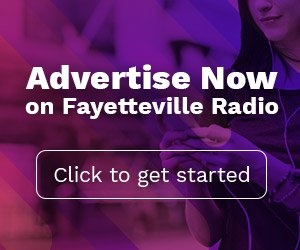 It only makes sense, then, that Fayetteville small business owners who operate furniture and mattress stores would find success advertising on local radio. Kimbrell's, a heritage North Carolina, retailer has recently learned this first-hand. Radio broadcasting began in North Carolina in 1922. Listeners in Fayetteville could choose between tuning-in to WBT from Charlotte or WLAC out of Raleigh. In 1915, seven years before radio came to the state, Kimbrell’s Furniture store opened up its doors for the first time. Back then, like now, Kimbrell’s core business was providing in-store credit to customers with little or damaged credit history. As early as 1922, Fayetteville small business owners embraced radio advertising in a big way to market their goods and services. According to Cheryl Parker, General Manager of Kimbrell’s Person Street, Raeford Road, and Ft. Bragg Boulevard locations, up until now, the company’s use of radio has been far more sporadic. This year, however, Ms. Parker convinced her district manager to advertise on Fayetteville radio continually for a 6-month period. Based on her success, Ms. Parker offers the following observations to Fayetteville small business owners who are considering using radio advertising to market the goods and service their companies sell. 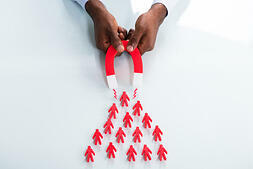 “Don’t pin yourself to just one audience. Try different audiences based on what needs to be accomplished,“ she recommends.